Windows 10 has arrived with much fanfare, many positive previews and as of last week great reviews from users. 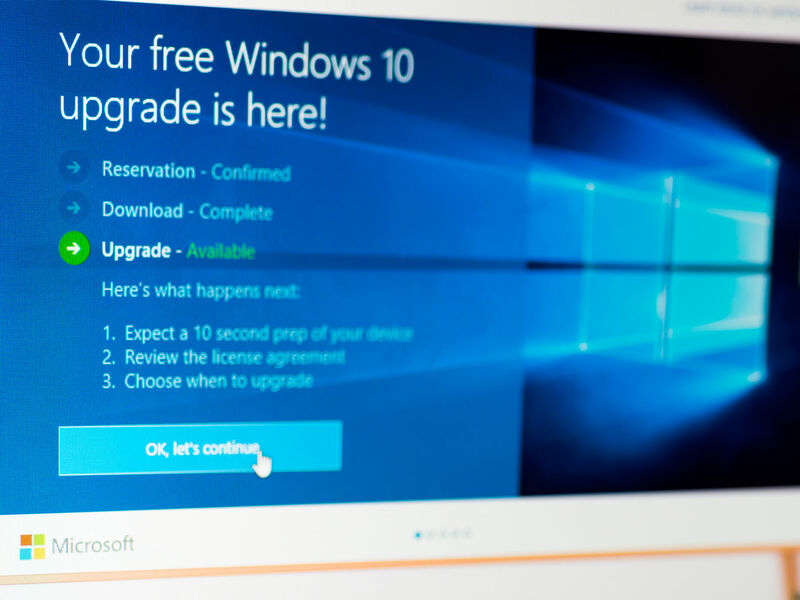 For the first time Microsoft is offering a new Operating System (OS) for free upgrade, however we understand this may have a limited timeframe (of perhaps a year). The cynical are commenting that this is great strategy from Microsoft as it will encourage home users to first update their systems, then like the new environment and provide a pressure on the corporations they work in to upgrade. Hard to fault that strategy – if true – and if the new system is superior. In short yes, it has taken the best bits of Windows 7, the favourite of users and techies the world over and melded it with the best bits of Windows 8 – and yes there were a few in there too to be honest, especially from a performance boost point of view. The promise with this new OS is to refine the ‘cutting edge’ features of Windows 8, which was perhaps in most opinion’s a little too skewed towards touchscreen and tablet use, creating a frustrating menu that replaced everyone’s best friend the Windows Start menu. This version has taken a step back and our friend the Start Menu has returned but also been beefed up and modernised in a way that most users are welcoming. We’ve totally enjoyed the brand new release on our Microsoft Surface Pro 3’s since being offered it on launch day and it has run without fault this past week or so. Yes, if you’re a Windows 7, 8 or 8.1 user, you’ll be able to update for free and likely have just received that invitation. Especially if you’re using 8 and 8.1 you should move soon to the new system and find relief. If you’re on 7, then yes it is still worth an upgrade, but don’t feel rushed to do so. So, what’s the no part? There are plenty of reports of minor bugs with Windows 10. Not so much actual OS issues that are Microsoft’s fault, not at all. But many 3rd party hardware manufacturers have drivers that aren’t compatible with the new system. There have been plenty of reports of graphic card issues (and multiple monitor support issues) along with other problems. These hardware suppliers will get on top of it, however it’ll take time and sometimes it takes different hardware environments to reveal these issues. We recommend at this stage waiting a month or so (so until early September 2015) to upgrade your desktop or laptop in a business environment to feel comfortable that these driver issues have been addressed. By all means try it out for home and non essential use or if you have a Microsoft product – like a Surface tablet – then it should be fine. Generally most people will not have issues and most of the mainstream hardware has been well tested and is supported. But for mission and business critical environments, just hold off a little longer and a rollout can be better planned and managed with the minimum of disruption.